Beautee Beauty | Malaysian Beauty Blog: News: Elle UK Magazine Freebie June 2013 Issue! 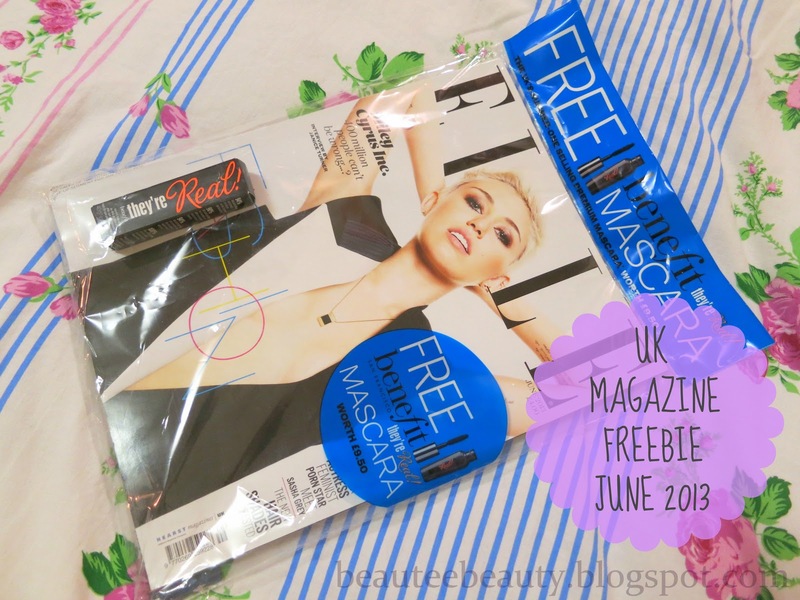 News: Elle UK Magazine Freebie June 2013 Issue! My third exam paper finished today, and I thought I'd take a quick break and type a short post seeing how I can't exactly study for the moment since even if I tried to study now, it's unlikely anything will enter my brain. Hee! I'm addicted to buying magazines- just the feel of them in my hands gives me a funny sense of happiness. If there's an extra goodie that comes free with it, now, that's even better. This month many magazines (the June 2013 issues) have different types of freebies, and it was honestly a challenge not to grab all of them and bring 'em to the till. I've been really good this time and only purchased one magazine. When I saw this issue of Elle UK, I knew I had to get it. Why? Because there was a free mini-sized 4grams Benefit They're Real mascara included! I've been wanting to try it out ever since I saw it at the Benefit counter in Boots, but just cannot justify parting with £18.50 (approx. RM92.50)for the full sized 8ml version of this mascara. 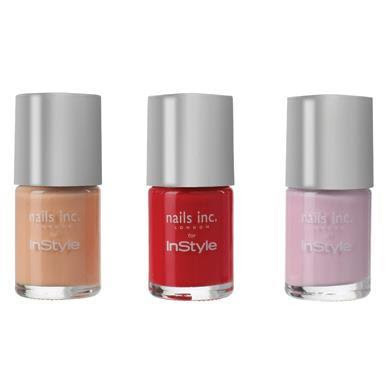 I've spent many minutes staring at the mini version of this sold in my local Boots for £9.50 (approx. RM46.50), and still I could not bring myself to buy it. Imagine my satisfaction when I snagged a copy of this, especially since it was the last one left in the store. This magazine with Miley Cyrus on the cover costs £4 (approx. RM20) which is more than what I'm used to spending on a magazine, but for the free mascara, it's worth it. I've read so many good reviews (and a few not so good ones) on this mascara so I'm very keen to try it out for myself and see how it goes. The mini-size of this little goodie will definitely make it handy for travelling. This magazine also came with a sample sachet of Clarins new BB cream. There were also a few other magazines which came with freebies which I did not purchase, but I'll list them down here for you. Love benefit mascara enjoy your post thx.